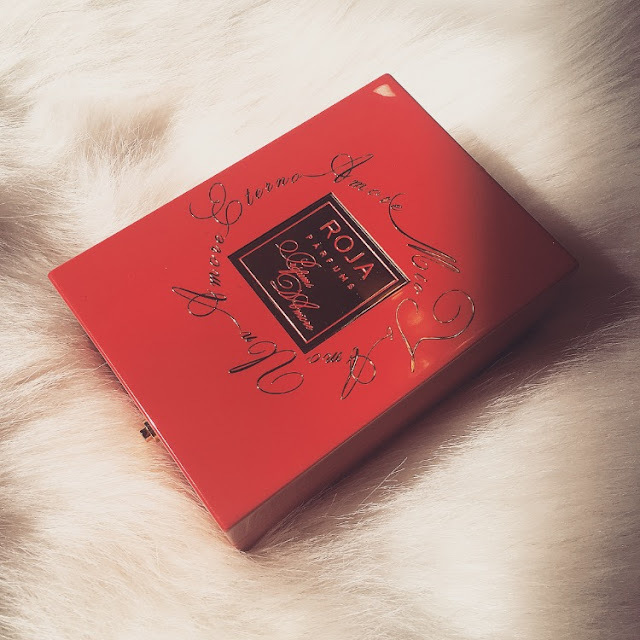 Roja Parfum's Ti Amo Fragrance // Is it worth the $525 price tag? Today we are talking all about the new fragrance from Roja Parfum's called - Ti Amo. 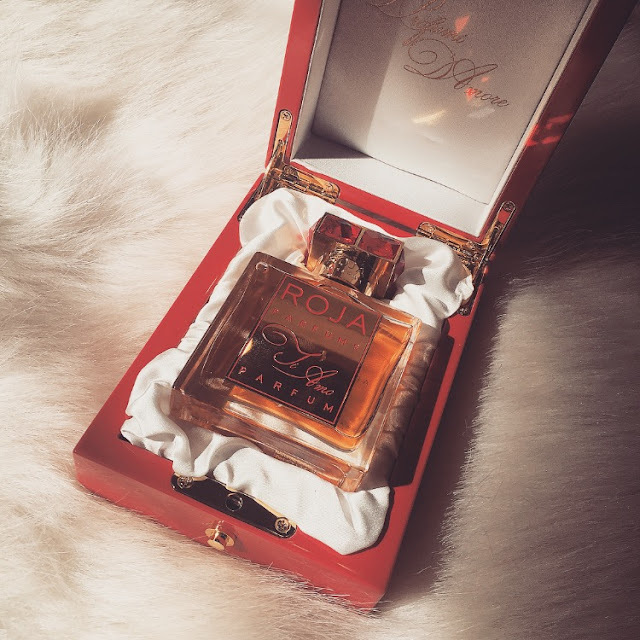 The fragrances from Roja Parfums are highly sought after, luxury fragrances that contain some of the best ingredients on the market. They also pay close attention to detail while creating the luxurious packaging that the perfume is encased in. “Each perfume from the Profumi D’Amore collection evokes the different chapters of a love story - from the very first moment passion is ignited (My Love), to a declaration of love (I Love You), ending with a love affair that lasts forever (I Will Love You Forever). 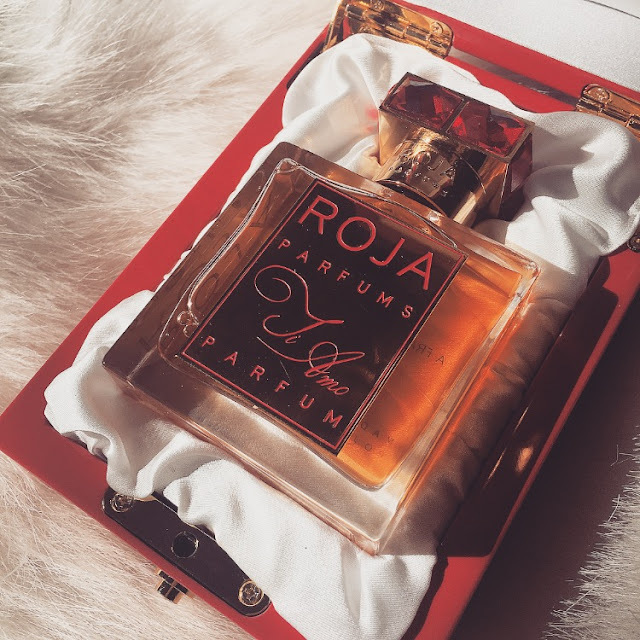 A passionate love letter in fragrant form.” - Roja Dove. So lets talk about this fragrance. When I first tried this perfume out, all I could think was how it was an Oriental scent ( I typically don't like Oriental scents ) and how I could smell a powdery note mixed with a strong scent of chocolate. Now I know that doesn't sound appealing, but just hear me out. When I first smelled it in the bottle I wasn't exactly sold on it yet. Probably because any kind of scent with a powdery note tends to smell a little to mature for my personal liking. But just when I was going to write this fragrance off, I gave it a spritz to my skin and it changed everything. Now with fragrance a lot of people who don't really know much about scent will just disregard any fragrance that doesn't have instant scent appeal straight from the bottle. However to truly smell a fragrance you need to let it sink into your skin and see how it works with your specific body chemistry. This gets me to my point. Once this scent was sprayed onto my skin, I couldn't stop smelling it. It turned super sweet and warm on my skin and those notes that I swore were going to make me smell to mature, vanished. I can only describe this scent as one thing, intoxicating. It has this beautiful, sensual, warm, chocolate scent to it that is so incredible you need to smell it yourself. I think this is the absolute perfect fragrance for a special occasion, or an upscale event. I highly, highly recommend this specific scent. I think the biggest question everyone will have about this fragrance comes down to price. Once you see the price tag for this fragrance you might be shocked, however to me this is definitely a luxury product. Its totally not something I'd where everyday, as it is quite fragrant and warm. So is it worth the price? In my opinion, yes it is totally worth every penny. Its such a staple fragrance, as well as being a very unique, interesting scent. Your paying for the luxury of turning heads, complements galore, and a scent that is so sophisticated it will have everyone wondering who your are. Ti Amo Roja parfums is a very long lasting and refreshing fragrance. The notes are amazing. I bought this Oriental Floral fragrance from my local store named Buy Perfume in Bangladesh for my wife and the smell is incredible. Thanks for sharing this review.